Hooray for more Windows Phone 8 apps! That’s our feeling every time we report on an official app getting bumped to take advantage of the latest features in our OS. Today’s app is OpenTable (www.opentable.com) the must-have service for those in big cities who want to easily reserve a table at their favorite (but busy) restaurant. 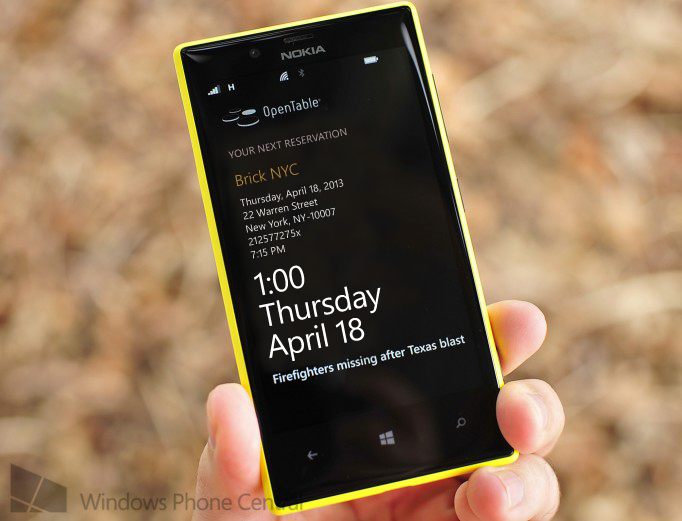 The previous Windows Phone 7.x version wasn’t too bad, but it was a bit slow and lacked any ‘wow’ factors on board. Version 2.0 though is now live in the Store for Windows Phone 8 devices and it’s certainly much better, in our opinion. OpenTable is a free service to use and you can either sign up for an account or just log in with your Facebook details. Now when you’re out-and-about, you can just open the app, pull up your location, pick your time and place and reserve a table. It’s a pretty nifty service and we’ve had luck with it in the past. The new layout of the app gets our approval and the doublewide tile certainly helps. The ability to one-tap add to calendar is very useful, as you can now ensure that you won’t forget your reservation. Decided you want to add people to your party our outright cancel? Just hit the button and it’ll be taken care of without even a phone call. 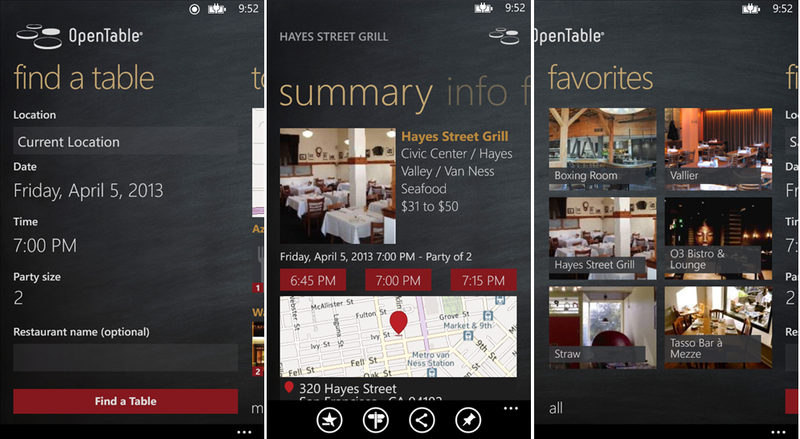 Pick up OpenTable here for Windows Phone 8. Thanks, cruisezero, for the tip!